The works of J.R.R. 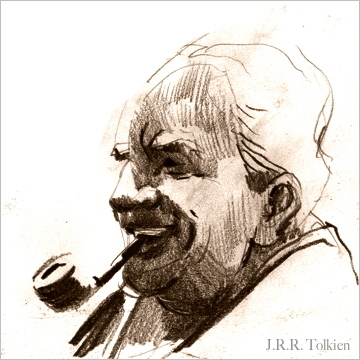 Tolkien have had a tremendous impact on fantasy fiction and, arguably, on popular culture. Renowned for the scope and rigor of its conception, Tolkien’s Middle Earth is familiar to many as an exemplar of the fully-imagined secondary world, replete with language, history, and a complex mythological (if not moral) landscape. World-building of such detail provides a potentially powerful framework for fascinating story-telling – and indeed, the epic quest of the Fellowship of the Ring set the mold for generations of subsequent adventure stories. Yet for all its influence and entertainment value, The Lord of the Rings is not beyond critique. Here I would like to share a few thought-provoking criticisms from other authors I respect. My intent is not to negate your enjoyment of Tolkien, but to enrich the way you think about what you read and how it relates to the “real world” in which you live. That, at least, is the impact these ideas have had on me. The quotes I’d like to relay share a concern with the worldview and political structure evident in the quasi-medieval culture of Middle Earth. Plots are driven by conflict and conflicts can reasonably emerge from the social environment characters occupy. It is not necessarily the society of Middle Earth itself that these authors object to, I think, but the way in which Tolkien aligns thematic elements of good and evil – of propriety and upheaval – with elements of that setting. If you look at stereotypical ‘epic’ or ‘high’ fantasy, you’re talking about a genre set in magical worlds with some pretty vile ideas. They tend to be based on feudalism lite: the idea, for example, that if there’s a problem with the ruler of the kingdom it’s because he’s a bad king, as opposed to a king. Tolkien wrote the seminal text for fantasy where morality is absolute, and political complexities conveniently evaporate. Battles are glorious and death is noble. The good look the part, and the evil are ugly. Elves are natural aristos, hobbits are the salt of the earth, and – in a fairyland version of genetic determinism – orcs are shits by birth. This is a conservative hymn to order and reason – to the status quo. And all dwarves love gold! it would be churlish to claim that there’s nothing to admire in the book. The constant atmosphere of melancholy is intriguing. There are superb, genuinely frightening monsters, and set pieces of real power. He established a form full of possibilities and ripe for experimentation, but used it to present trite, nostalgic daydreams. The myth of an idyllic past is not oppositional to capitalism, but consolation for it. Troubled by the world? Close your eyes and think of Middle Earth. China dismisses most charges of escapism as genre snobbery – “just because [non-genre] books pretend to be about ‘the real world’ doesn’t mean they reverberate in it with more integrity” (ISJ) – but, ultimately, faults Tolkien for exactly that – escapism. Or, more accurately, for making too little of the liberating opportunities afforded by literary escape. Next I’d like to recommend J.R.R. Tolkien vs. 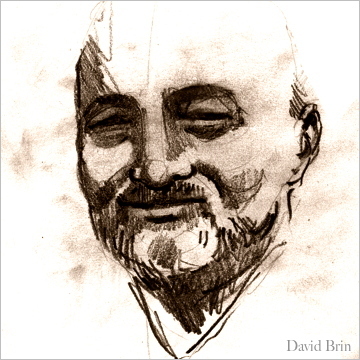 The Modern Age, a 2002 essay by David Brin. Only an excerpt is available online, but the full text can be found in Through Stranger Eyes, an interesting collection of essays, reviews, and other non-fiction by Brin. Brin’s critique affirms Miéville’s concern with the backwards-looking undercurrents of The Lord of the Rings. He extends this argument and situates it in historical context with a comparison of Romanticism and Enlightenment ideals. Indeed, the popularity of this formula [LOTR’s] is deeply thought-provoking. Millions of people who live in a time of genuine miracles – in which the great-grandchildren of illiterate peasants may routinely fly through the sky, roam the Internet, view far-off worlds and elect their own leaders – slip into delighted wonder at the notion of a wizard hitchhiking a ride from an eagle. Many even find themselves yearning for a society of towering lords and loyal, kowtowing vassals. The urge to crush some demonized enemy resonates deeply within us, dating from ages far earlier than feudalism. Hence, the vicarious thrill we feel over the slaughter of orc foot soldiers at Helm’s Deep. Then again as Ents flatten even more goblin grunts at Saruman’s citadel, taking no prisoners, never sparing a thought for all the orphaned orclings and grieving widorcs. And again at Minas Tirith, and again at the Gondor Docks and again… well, they’re only orcs, after all. The planet was certainly less abused when our numbers were kept low by poverty, starvation and disease. Now we must replace those old corrective forces with new ones – knowledge, foresight, and self-restraint. I think it’s charming that Miéville, an avowed “active revolutionary socialist”, and Brin, a champion of the Enlightenment tradition and pragmatic American know-how, find so much common ground in their critical readings of Tolkien – and also in their use and espousal of the fantastic and the futuristic as lenses to perceive our path through the present. I hope you agree with my initial assurance that the critiques I’ve shared here do little to detract from the stories they dissect. If this post has exposed you to any new ideas, or nudged you to consider what you expect from fiction, or perhaps even caused you to articulate a rebuttal of your own against any of the charges recounted here, then I consider it a success. I do not think the quotes I’ve selected do justice to each author’s arguments (least of all Tolkien’s), so please consider reading the source materials in their entirety. If you haven’t read The Lord of the Rings, start with that! For Tolkien criticism of a different sort – more reverential, perhaps, but rife with insight into the structure and function of fiction – check out Corey Olsen’s extensive Tolkien Professor podcasts. Posted on Thursday, March 15th, 2012. Tags: books, reviews. Posted by Troels Forchhammer on Wednesday, March 28th, 2012 at 6:30 PM. 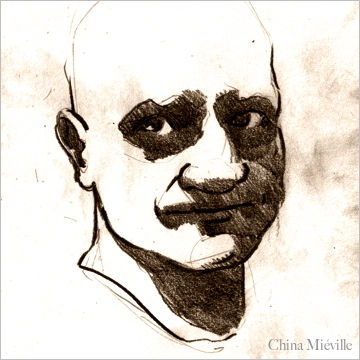 Thank you for sharing these – I hadn’t seen Miéville’s critique earlier. It is true that the political and ethical views that underlie Tolkien’s fictional work in many ways are deeply reactionary, but I think it is sad that disagreement with the views and beliefs of the author should be the primary criticism levelled against his work. Of course a piece of literature can be based on moral and/or political views that one finds so repulsive that the work itself becomes unreadable for that very reason, but I would hope that authors such as Miéville and Brin are honest enough with themselves to recognize if this is the problem and then separate their philosophical disagreement with the author from their appraisal of his work as a piece of literature. As for the alleged lack of moral complexity of the individual characters, I suppose that Miéville missed the part where Aragorn starved Gollum to submission, or where Gimli and Legolas made a sport of killing enemies. Few if any of the characters in The Lord of the Rings are moral monopoles – even Sauron did not start out evil. I wish that he had elaborated some more on the claim that ‘In Tolkien, the reader is intended to be consoled by the idea that systemic problems come from outside agitators’ — it seems a rather simplistic reading (quite far from the usual conservative Augustinian / Thomist reading of Tolkien) that I don’t recognize in Tolkien’s work, but with no more to go by, it is difficult to agree or disagree. Posted by Chris on Monday, April 15th, 2013 at 6:22 PM. I think it is important to remember that Tolkiens work is presented as a history.It is not necessary to endorse what might be considered reactionary politics (actually, in terms of Middle Earth,what would have been truly reactionary would have been if Aragorn had ceased the ring and overthrown Sauron by force) to appreciate that human history is not expected to stand still after the restoration of the re-united kingdoms- that too is just a starting point.